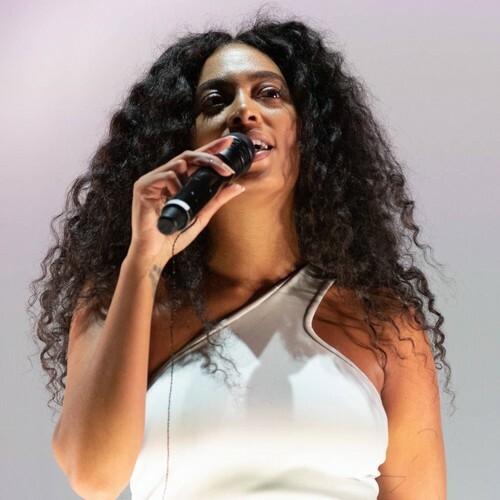 Solange will no longer be performing at the 2019 Coachella festival. The Cranes in the Sky singer had been scheduled to perform at the annual music event in Indio, California on Saturday (13April19) and the following weekend, but Coachella officials announced that she had cancelled her set on Sunday night, mere days before her performance. "Due to major production delays, Solange will unfortunately no longer be performing at this year's festival. She sends her sincerest apologies and looks forward to performing at Coachella in the future," the official Coachella account tweeted. Solange, who would have been promoting her fourth studio When I Get Home, is yet to comment on the cancellation, and it has not yet been revealed who will replace her. The 32-year-old made an appearance at the festival last year, when she joined her sister Beyonce during her history-making headline performance, with the two of them singing Get Me Bodied. The cancellation news comes shortly after fans began speculating that a concert film about Beyonce's Coachella set was coming to Netflix on 17 April. Officials seemingly teased the special in a simple post on social media on Sunday, when they uploaded the word "Homecoming" against a solid yellow gold background, possibly a nod to the yellow hooded sweater Beyonce wore during the show. Devotees instantly recognised the title had been printed in the same Greek-style font Beyonce had used during her gig, which had a college homecoming theme. The 2019 Coachella festival, which runs across the next two weekends, kicks off on Friday and will feature headline performances from Childish Gambino, Tame Impala and Ariana Grande, while other performers include Janelle Monae, The 1975, Kacey Musgraves. Kanye West will deliver his Sunday Service on the second weekend.